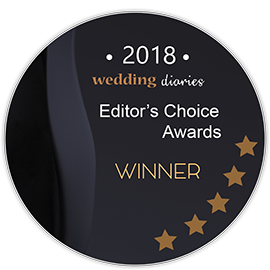 EDITOR'S CHOICE: We've handpicked the best of the best wedding venues in Perth to help you find the right one for your big day. When you’re standing next to your life partner about to make that all important commitment, no doubt you want every just right. A wedding is a huge event and lots of love, time, and energy goes into planning one. There are many details that come together to make this day perfect for you and your partner. From the food to the guests to the decorations, there are so many things to think about. But the question that needs to be answered before all those details come into play is this one – where are you going to have your wedding? With so many options available, it can be overwhelming to get started on choosing a wedding venue. Get some inspiration around the Perth area with some of these top wedding venues. You never one which one will make your heart skip a beat! In no particular order, here we list the editor’s choice top wedding venues in Perth. This wedding reception venue is where the revelry can truly commence after the ‘I dos’ have been said. The remarkable site offers beautiful views of the sparkling Swan River. The balcony at sunset allows a photo opportunity that sparkles as brightly as the water itself. The venue offers personalised experiences to bring out the true nature of the happy couple. There are many touches that can be catered to your style and desires, making the day feel truly unique. Formal meals, banquets, and cocktail style meals are available. This hidden gem is a unique venue tucked away in the picture-perfect Swan Valley. For both wedding ceremonies and receptions, the grounds pertain to a romantic haven for the happy couple. There are flexible options in the planning of meals and seating arrangement. With glorious views abound and tantalising catering options, there is nothing that will disappoint here. A truly unforgettable experience awaits. Here is a charming and rustic venue available for exclusive use to celebrate a wedding day in style. The surrounding outdoor grounds and the atmospheric interior of the gorgeous homestead will set the scene for a happily ever after. The atmosphere is vibrant, relaxed, and unique all around the grounds. The 200 acre grounds make sure there are endless opportunities for perfect photos. The grounds are yours and there are helpful staff available all of the wedding day to make sure everything runs smoothly. This stunning waterside destination can host up to 130 people for a cocktail style event or 70 people for a seated meal in the Pavilion building. It offers panoramic views of the sparkling crystal waters overlooking the Mindarie marina. There are state of the art facilities to ensure that everything about the wedding day runs without a glitch. The pier and balcony overlooking the water make for perfect photo opportunities. The interior of the building and the decor leave traces of elegance in their path. Situated on picture perfect grounds with the Swan Valley as the backdrop for true love blossoming here. The homestead is rustic and antique, offering a charming feel that gives a sense of a fairytale coming to life. With intricate chandeliers and French style doors, romance and charm is tucked away in every corner of the estate. Each wedding is planned with personal touches and the property will truly feel like yours for the day. This is a premium venue with a dedicated wedding coordinator to bring a fairy tale wedding to a reality. Nestled away in the Swan Valley, there are panoramic views scaling from sparkling river to vast vineyards. Photo opportunities will not disappoint here. The venue has a professional estate with fresh wines, gourmet catering options, and the historic Woodbridge House to set the scene. There is also an option for a transportation marquee to enjoy the great outdoors. With space aplenty at this function centre, there are many ways it transforms into a magical setting for a fairytale wedding. From the verandah room to the elegant seating area in the lounge bar, guests will comfortably have their breath taken away. The atrium lights up at night for a firefly effect around the space. After walking down a stunning red carpet for the ceremony, there is comfort and space for the wedding party to celebrate the love committed. Each room comes with an inclusive wedding package to ensure everything is set for your perfect day. The city skyline and sparkling water set the backdrop for tying the knot at Crystal Swan. This unique onboard boat venue offers panoramic views of the gorgeous Swan River and the iconic cityscape of Perth. Photo opportunities are aplenty here as you and your wedding party cruise down the river. With a wedding planner on hand and an executive chef onboard, everything is taken care of you to sit back and enjoy your perfect day. The tables and centrepiece decorations make for exquisite styling and crystal-white drapes set a tone of elegance for the day. All year round, this venue on offer to host an unforgettable wedding. With 180 degree views the Swan River and the city skyline of Perth, photo opportunities won’t disappoint here. Each wedding here is handled personally by the building owner who makes sure it is a special, unique, and smooth running day. With spacious seating and stylish decor, the happy couple can spend their day revelling in their love and joy. The outdoor area is perfect for a fresh air ceremony before the festivities commence inside the large reception hall. Finding this place certainly won’t end in a wild goose chase. Nestled amongst the Perth Hills, The Wild Goose at Noble Falls Estate is picturesque, fresh, and ambient in every sense. The rustic building interior and the natural greens outside combine to bring a magical day to life. With outdoor spaces, rolling green yards, and a trickling river to set the scene, wedding photos are truly beautiful here. Depending on the season, the blooming lavender bushes or an open wood fire add another element to each unique wedding here. In Caversham, Western Australia is this beautiful, award-winning wedding ceremony and reception venue in Swan Valley. Your ceremony can be held in the Garden House(French doors and Tiffany chairs), the Colonnade (next to the Marquee and the gardens,Tiffany chairs), and the Hidden Gardens (on the banks of the Swan River, terraced, with waterfalls and jetties). You can even arrive at your ceremony onboard a timber boat, available all year. Your reception can then be held in the Reception Room or in the marquee. Check out this location on their Facebook page! A casino in Perth, Western Australia might not be your first choice, but this beautiful location not only offers gorgeous rooms, but also an amazing spa that will make getting ready for your big day as indulgent as possible. They also offer an Asian wedding package! They offer upwards of 20 venues for your wedding reception, as well as the lawn for your ceremony. There are also multiple restaurants, including Nobu, which can cater and serve as your wedding reception venue. Visit their Facebook page for more information today! Guest Capacity: Crown Ballroom (1410 dinner & dance, 2400 cocktail / theatre); Grand Ballroom (1240 dinner, 1800 cocktail); the Astral (550 dinner, 1000 cocktail); Botanicals (140 dinner, 300 cocktail). This beautiful golf and country club in Perth, Western Australia, is also nestled in the gorgeous Swan Valley. They offer private vineyard wedding ceremonies, as well as ceremonies on their resort grounds. The Novotel Vines Resort has plenty of accommodations for you and your guests, and you’ll love the extra help from their dedicated wedding coordinators. Don’t forget to drop by their Facebook for photos of this beautiful space! Crawley, Western Australia is home to an adorable and romantic restaurant on the banks of the stunning Matilda Bay. Enjoy the lovely waters and views of Perth’s skyline as you say “I do” on the docks or beach. Your reception can be held in the Roe Room or the Catalina Room, both of which offer beautiful views from their windows and glass doors. Contact their wedding coordinator, Elly Waugh, or send them a message on their Facebook with any inquiries. Look no further than Sandalford Wines of Caversham, Western Australia (less than 30 minutes from Perth) for your Perth winery wedding. This historic site has been producing some of the best wine for nearly 200 years. Host your ceremony in the gardens, courtyards, or vineyard, and hold your reception under the vines (over 100 years old) or in the rooms. Our favourite is the Oak Room, with gorgeous, wrought-iron chandeliers and Tiffany chairs. Plus, there’s a bridal suite! Make sure to take a look at their Facebook for more photos of real weddings! Guest Capacity:Estate room (150 – 350); Underground Cellar (120 – 250); Oak Room (80 – 120); Durack Room (50 – 80); Element Room (40 – 80). In Fremantle, Western Australia is the gorgeous Esplanade Hotel that offers four wedding reception venues, as well as their Atrium Garden Restaurant. It is located right next to the Esplanade park (great for photos) and close to the water (Fishing Boat Harbour, Southern Wharf). You’ll swoon over the lovely historic, Victorian architecture, and the stunning accommodations for you and your guests. Also, your ceremony can be held by the adorable little pool. Guest Capacity:Poolside (100 seated, 400 cocktail); Calista (32 seated); Southern Cross Gala Ballroom (600 seated, 1000 cocktail); Indian Ocean Suite (110 seated, 220 cocktail); Island Suite (150 seated, 240 cocktail); Ball & Chain Bourbon Room (30 seated, 50 cocktail). Another beautiful wedding ceremony and reception venue in Caversham, Western Australia is Mulberry Estate, right next to Lilac Hill Park, the Flats, and of course, the Swan River. They offer lovely garden wedding ceremonies, as well as reception rooms that have floor-to-ceiling windows that look out onto the perfectly manicured grounds and gardens. You can also host your reception on the lawn! Visit their Facebook for more information! This park, bushland reserve, and botanic garden in Perth, Western Australia, is such a fairy-tale like wedding ceremony and reception venue. If you wish to be surrounded by nature on your special day as you say “I do,” then look no further! Fraser’s is their restaurant, which caters and hosts weddings. They also have a dedicated wedding coordinator to help you plan your day and ensure it goes off without a hitch! Take a look at their stunning Facebook photos for more views of their gardens, grounds, and more! If you’re looking for a wedding venue with views overlooking the famous Swan River, you’ll fall in love with Pagoda Resort & Spa in Como, the City of South Perth, Western Australia. Enjoy a stunning bridal suite for your use before a serene poolside ceremony and reception in one of their 3 unique function rooms. Pagoda also does gorgeous High Tea with floral crockery and traditional favourites such as finger sandwiches, scones with jam & fresh cream, accompanied by a selection of teas, perfect for Bridal Showers! Make sure to check out their Facebook for more! In Upper Swan, Western Australia, lies one of our very favourite estates for a wedding ceremony and reception in Perth. It’s only 10 minutes from the airport, which your out-of-town or international guests will love (great for your honeymoon plans as well). This is a fantastic venue for those looking for an elfin, woodland wedding ceremony, but there are also romantic gazebos, gardens, the Portico, lakeside locations, and rooms. This is a BYO venue, and they offer several reception locations (see below). Don’t miss out and take a look at their Facebook photos! This luxurious waterfront hotel in Perth, Western Australia is perfect for those couples wishing for that dreamy, vacation vibe for their wedding ceremony and reception. There are of course luxurious accommodations available, as well as a dedicated wedding coordinator and specialist. There are several ballrooms available, as well as smaller events rooms. Another gorgeous winery that you can host your wedding ceremony and reception is in Heme Hill, Western Australia. Enjoy the valley views, and the Darling Range escarpment, which will make for fantastic wedding and bridal photography backdrops. The architecture is Italian-inspired, and their experienced team is dedicated to making your dreams a reality. Visit this Swan Valley vineyard’s Facebook today! This Wanneroo, Western Australia wedding ceremony and reception centre is ideal for those who love gardens and colonial architecture. Take stunning bridal photos in front of the seasonal flowers and fountains, or in the 10 acres of bushland. Don’t forget to take a night-time stroll with your new spouse (with the photographer trailing behind, capturing all those lovely moments) underneath the fairy-lights strewn gazebos! Check out their Facebook for more photos and information. Another hotel in Perth, Western Australia that is perfect for those couples who are looking for something modern and eclectic sits right across the Swan River and Supreme Court Gardens. This location just screams “luxury” and offers 306 rooms for you and your wedding guests. They offer several rooms for your wedding ceremony and reception (see below for a list with their capacities). Drop by their Facebook with any questions or just to check out their lovely wedding photos! Last, but not least, we had to include another winery: Darlington, Western Australia’s own Darlington Estate Winery—and it is just so darling. It lies between John Forrest National Park and Beelu National Park, and so is surrounded by lots of gorgeous nature (perfect for wedding photo backdrops). If you’re looking for a fairy-tale, complete with twinkling lights, a private vineyard, tree-lined paths, misty valleys, and more, look no further than these gorgeous 40 acres! Don’t forget to visit their Facebook page! Delicious food and exceptional service are coupled with this elegant venue. It is a perfect setting for a unique and intimate affair. With an open seated reception hall and a vibrant porch space, the building is open and well lit. Each table is carefully set with stylish decor and a thoughtful centrepiece, giving the room a sense of personal touches left, right, and center. The gourmet food makes for a perfect sit down meal after a stunning love-filled ceremony. Here is a stunning venue that offers an all inclusive wedding service. Starting with the ceremony in the exquisite gardens to the fully catered reception, wedding days are made to run smoothly here. There are a range of rooms available to suit different needs, from an intimate dinner to a large event. Comfort, scenery, and ambience are perfect here. There is also accommodation on site to host guests and the wedding party to ensure the festivities never have to end. From a lavish reception to an intimate affair, Pan Pacific is well equipped to cater any wedding. Overlooking the scenic Swan River, different wedding packages available to ensure the happy couple can have a day suited to their hopes and desires. The Luxe Wedding Package is all inclusive and covers a range of services, including gourmet meals and fresh drinks. For extras within the package, you also have the choice of lighting, backdrops, and elegant chair coverings. Tucked away in the heart of Perth city, this building transforms its space into a private and romantic setting for a couple to tie the knot. A historic flour mill, it is now a charming and elegant space which brings romance to life. There are three spaces available: The Factory, The Sherry, The Top Floor. Each space can be tailored to suit your needs – from large sit down dinners to smaller intimate cocktail affairs. Catering is available with tantalizing menus and seating plans are flexible. Lush greenery, a tranquil lake, and a stunning historic manor house set the scene for love to walk down the aisle to a lifetime of commitment. The Georgian Manor House is nestled amongst exquisite grounds to hold both ceremony and reception. All inclusive wedding packages are available and up to 160 guests can join in the festivities. The grounds and building will be yours alone for the day to enjoy in privacy and intimacy with those who matter most. Make the most of the surrounding grounds for plenty of photo opportunities. Here is a place where history and modernity come together to create an unforgettable ambience. The old-world charm and contemporary styles of the building set a tone for true fairy tale romance. There are many options available here, from a rooftop reception to a ballroom sit down dinner. Enjoy your wedding in elegance and sophistication. The Melbourne Hotel is professional and personal in the touches put into making each wedding unique and unforgettable. This venue services spectacular weddings with a difference. Rather than turning up to your wedding in a car, arrive by boat to mix it up! There are spectacular water views and pre-drinks served by the marina. As a reception or ceremony venue (or both), Mandurah Quay Resort offers breathtaking beauty at every turn. The reception space is a large, light filled room with elegant table decor. There is a full catering service with 5 choices for gourmet options. Perfectly located on the Perth Esplanade, Rambla on Swan offers elegance and sophistication throughout the wedding day. With quality service and sensational decor, there is no room for disappointment. The private dining room for the reception has superb views of the Swan River. Dine in style and wedded bliss as high quality modern cuisine is served up. As the sun sets over the river, the city skyline lights up the room for the festivities to continue into the evening. A top choice of venues overlooking the picturesque Swan River, Acqua Viva is ready to host any type of wedding celebration. From cocktail receptions to elegant sit down dinners and a dance floor for the real party to start, this venue can hold up to 150 guests. The building offers sweeping views of the Swan River and beautiful, lush parklands. There are countless photo opportunities to ensure that these moments are forever captured in time. This is truly a place to remember a wedding day. Whether you seek a cocktail style reception, a sit down meal, or an intimate wedding Mosmans Restaurant is available for wedding parties of all shapes and sizes. Overlooking the stunning Swan River with fully catered meals available, this is a picturesque venue. The lush surrounds and breathtaking views create a romantic and intimate feel for the day. Each wedding is unique and private, having the restaurant and grounds to yourself. There are many charming photo opportunities scattered around the premises. Of course, Perth is known as the capital city of Western Australia and one of the largest cities on the continent, but it is also home to some fantastic and beautiful wedding reception and ceremony venues, including hotels, wineries, national parks, and golf clubs. The climate is a moderate and mostly dry (save the winters) one that rivals that of the Mediterranean. So, what are you waiting for? Contact these venues and start going on tours of these amazing wedding venues and planning services! Home to the Swan Valley and bordered by the Indian Ocean (on the west) and Darling Escarpment (to the east), Perth, Western Australia, has so many picturesque wedding ceremony and reception venues to offer that can suit every bride and groom’s tastes. The area’s venues are especially great for those couples looking for something a little rustic, as the valley has many gorgeous wineries, but the beautiful weather (particularly in the summer months) and many cultural attractions (such as the Art Gallery of Western Australia) are also sure to impress you and your wedding guests! Perth wedding venues cost a little less,on average, than the average in Australia; you can expect to pay around $11,000 – $13,000 for your wedding venue (for “all-inclusive” packages), but there are also many venues that are suitable for brides and grooms on a budget or those looking for something a little fancier. Of course, Perth, Western Australia, is known for its many beautiful wineries, and as a result there are a plethora of gorgeous winery wedding venues to choose from for your wedding ceremony and/or reception. 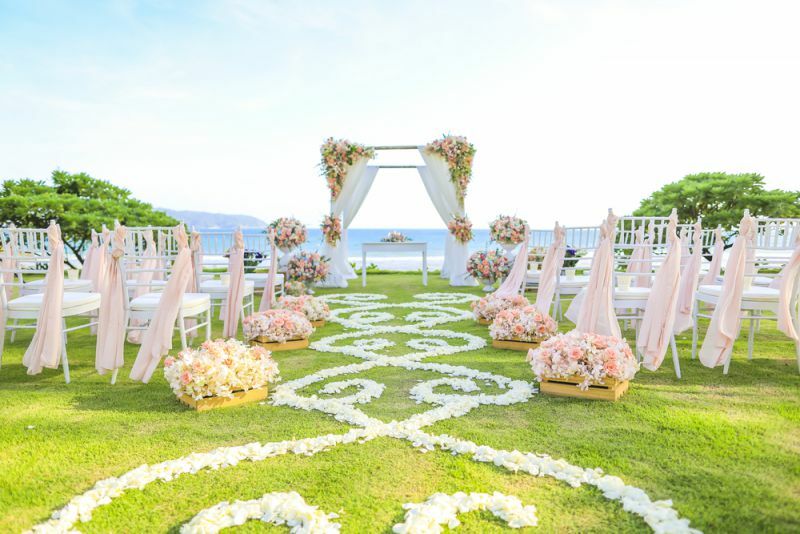 There are also many other types of wedding venues, including private estates / homes, restaurants, resorts, parks, gardens, and waterfront locations. Some of our personal favourite wedding venues in the region include the Caversham House in Swan Valley and the Sittella Winery and Restaurant (also in the Swan Valley). The Perth Airport offers both international and domestic flights, making it easy for your out-of-state and international wedding guests to attend your festivities. Also, it’s only located about 20 minutes away by car from the city centre, so most wedding venues and hotels / other accommodations are a short drive away from the airport. Those guests who are unable to rent a car or cannot arrange for someone to pick them up can opt for taxis, rideshare, or public transport via Transperth bus services. Within the city, hotels can range anywhere from $40 to $250+ per night, and there are also several hotels by the Perth Airport, from $80 – $150 per night. There are also many Airbnb rooms and homes in the area, with the most popular rooms starting from $30 per night, so there are many affordable options! The ideal wedding season in Perth, Western Australia is during the summer months (December to February), as they are warm and experience very little rainfall (on average one day per month). Perth is warm year-round, with a low of 10oC in the winter months. However, the late Fall and winter months should be avoided as they experience quite a bit of precipitation (June and July have approximately 14 days out of the month with rain). However, even if you are planning an outdoor summer wedding, we still suggest arranging a back-up location or space for your reception or ceremony, just in case there is any inclement weather.